Barcelona continued their winning ways with a 2-1 away win against Dutch side PSV Eindhoven. All the goals came in the second-half with Messi and Pique providing the goals but De Jong got a consolation goal. This win books Barca a place in the Round of 16 and a secure first place finish. Barcelona has finished first in their groups on 20 different occasions. The first team in UCL history to achieve this and has only failed three times to finish first in their group. PSG got a much-needed win 2-1 against Liverpool placing them second in Group C. Neymar who was injured during the international break managed to regain fitness and put his name of the scoresheet. Neymar scored his 31st UCL goal making him top-scoring Brazilian in UCL history. He is now involved in 50 goals in 52 Champions League games ( 31 goals and 19 assists). 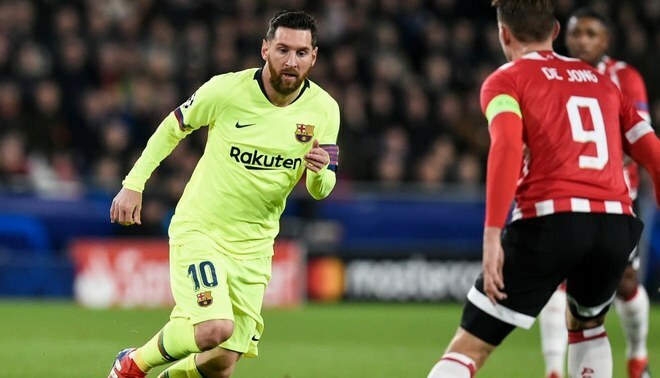 Messi’s goal against PSV now makes him the leading goal scorer so far this season with six goals. Additionally, his goal against PSV also makes him the only player with the most UCL goals for a single club. The Argentine scored 106 goals for Barcelona with Ronaldo now second with 105 goals for Real Madrid. Messi looks to hold the record for now as Ronaldo Madrid days are now over. Liverpool is unbeaten in the Premier League but is struggling to replicate this in the Champions League. The Reds has lost all three away games in the group stage. This is the first time in their club history that this happened. Liverpool is in a tight race for a spot in Round 16 and is currently third on six points, three points behind group leaders Napoli. Soccer journalist from Jamaica. Real Madrid and Manchester United Fan.